Claire Foy was eager to play Janet Armstrong, wife of Neil Armstrong — played by Ryan Gosling — who first walked on the moon. The movie ‘The First Man’ by Damien Chazelle opened this year’s Venice Film Festival and allowed Foy to play Janet struggling with loss and the emotional labor — often falling to women — of holding a family together. In the case of the Armstrongs, their family bonds were eclipsed by the moon and the heroic identity of her husband. Foy admits to recovering her vitality slowly after a grueling period shooting ‘The Crown’ four months after the birth of her daughter, Ivy Rose. 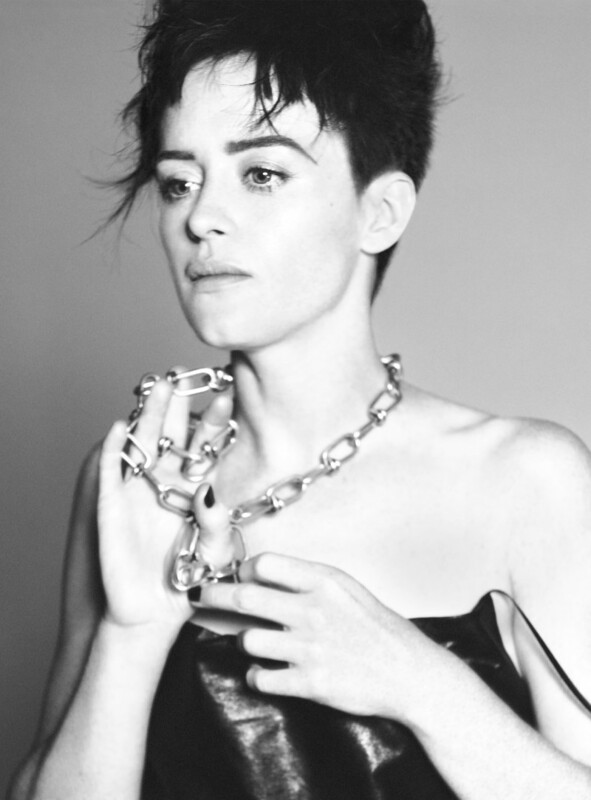 Consumed in the rush of success resulting from ‘The Crown’, Foy prepared for her intense physical and mental role in the latest iteration of Stieg Larsson’s Lisbeth Salander saga, ‘The Girl in the Spider’s Web’, while primed with parenting and then her separation from husband Stephen Campbell Moore. Note that ‘The Queen’ producers Suzanne Mackie and Andy Harries initially defended Matt Smith’s higher pay because of his role in the BBC series ‘Doctor Who’. They had no explanation for why the disparity continued in the second season of ‘The Crown’ when Claire Foy had received dramatic acclaim and a legion of devoted Crown watchers. The producers eventually sought to put an end to the controversy by paying Foy an additional $275,000. Read the entire meaty interview at Vogue.com.